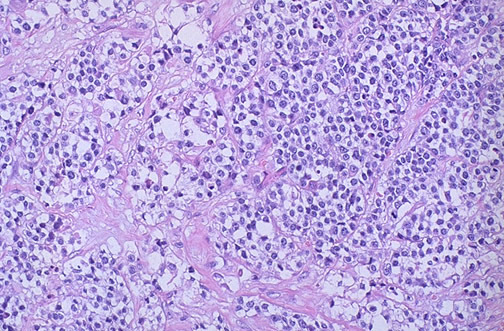 A rare neoplasm that appears most commonly in the first decade of life is the rhabdomyosarcoma. This malignant neoplasm has skeletal muscle derivation. The alveolar variant is shown here. These neoplasms occur most frequently in the head and neck area, as well as the genitourinary tract.